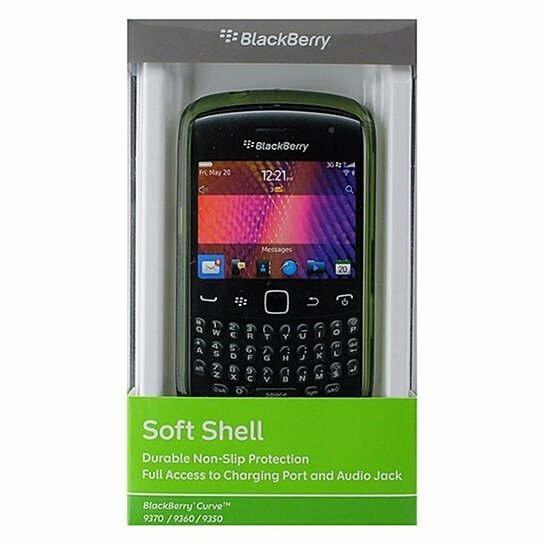 BlackBerry products, Soft Shell Gel Case for BlackBerry Curve 9370 / 9360 / 9350 Series. Translucent Green finish. Durable non-slip grip. Full access to charging port and audio jack.